TUF 24 Finale Predictions: Can Anyone Stop Demetrious Johnson? The UFC will roll on their packed year-ending schedule at tomorrow night’s (Sat., December 3, 2016) The Ultimate Fighter (TUF) 24: Tournament of Champion Finale from the Palms Casino Resort in Las Vegas, Nevada. The show was a revolutionary one in that it was the first season of TUF to feature champions from other regional MMA promotions, with the flyweights vying for an unprecedented title shot against champion Demetrious Johnson, who many rank as the top pound-for-pound fighter in MMA today. Veteran Tim Elliott won the show and an opportunity to face ‘Mighty Mouse’ in one of the more lopsided title bouts in UFC history, at least on paper. 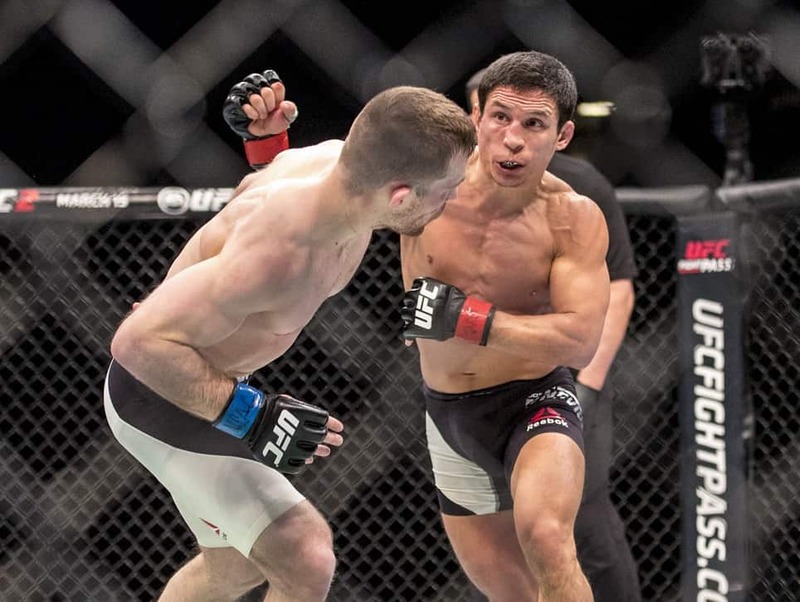 In the co-main, Johnson’s nearest competitors and show coaches Joseph Benavidez and Henry Cejudo will meet for what should be the next shot at the winner of ‘Mighty Mouse’ vs. Elliott, but with both having been brutally finished by the champ, it’s going to be difficult to consider them anything close to a real threat to the throne for the time being. “Mighty Mouse” comes into this bout as a massive -1207 favorite according to BigOnSports.com, and with eight straight title defenses, I’m not sure even that’s enough. Elliott has looked great on the show, but I can’t seem to shake the fact he was viciously finished by Benavidez, and we all know what happened the last time Joe B. faced Johnson. MMA math may scarcely add up, but in my opinion, “Mighty Mouse” is the most dominant fighter in MMA. I expect him to toy with Elliott on the feet before dropping him and securing another solid stoppage win. Demetrious Johnson by first round submission. While Elliott has proved himself to be dangerous and worthy of a place in the UFC in the past, I don’t see him posing any kind of threat this weekend. 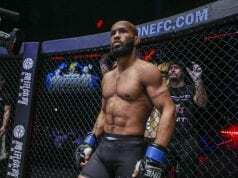 Taking on not only the reigning, defending and undisputed champion, Demetrious Johnson is the premier fighter on the globe right now. Make no mistake, ‘Mighty Mouse’ is only improving, and I’d be extremely surprised if this fight goes more than a round. In fact, I’m going all out, and calling a sub-minute win for ‘DJ.’ Let’s get it; Johnson puts away Elliott early with a dominant KO. Elliott is a UFC veteran and he’s had a good run on TUF, but I simply don’t feel as if he belongs in the cage with Johnson, a man who’s arguably the best pound-for-pound fighter on the planet. I expect “Mighty Mouse” to be the more well rounded fighter here and I see the champion getting a finish. Johnson by third round submission. I obviously expect this fight to be a lot closer than the mismatched main event, and the odds, which favor Benavidez at -195 according to BigOnSports, agree. Both coaches have looked largely flawless outside of their meetings with “Mighty Mouse,” a testament to just how good the champ is. But this bout should provide little of the fireworks Johnson displays in finishing his opponents, and could turn into a flyweight chess match thanks to the accomplished wrestling and grappling games of both men. While Olympic gold medalist Cejudo’s striking is coming along, I think Benavidez’ greater body of work should propel him to a hard-fought win. Benavidez by unanimous decision. 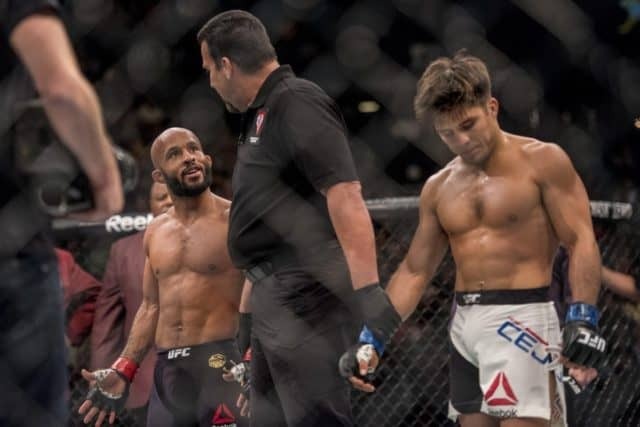 Another great battle for the TUF 24 Finale, and two fighters who would arguably be champions if it weren’t for ‘Mighty Mouse.’ Benavidez has been a standout in the lighter weight classes for years, but Cejudo is a thoroughbred athlete with Olympic standards and has transitioned very well into MMA. If Benavidez is able to catch his man with one of those wild power punches, it could well change the dynamic of this fight. Other than that, I see Cejudo winning every round. I’d like to think this will be an all-out war, but I’m predicting a smothering wrestling performance in Vegas. 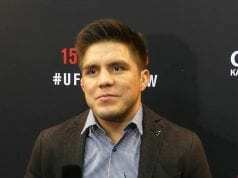 Cejudo by unanimous decision. This is a very intriguing match-up between two of the best 125-pounders around. Cejudo is without question the best wrestler in the division given his Olympic pedigree and his striking has steadily improved, but I’ve always felt as if Benavidez was he best flyweight not named Demetrious Johnson. He’ll have to avoid the takedown, but I expect Benavidez to mix up his striking and take home a very close victory. Benavidez by decision. NEXT: UFC 206 Predictions: Will Failed Weight Cut Doom Anthony Pettis?